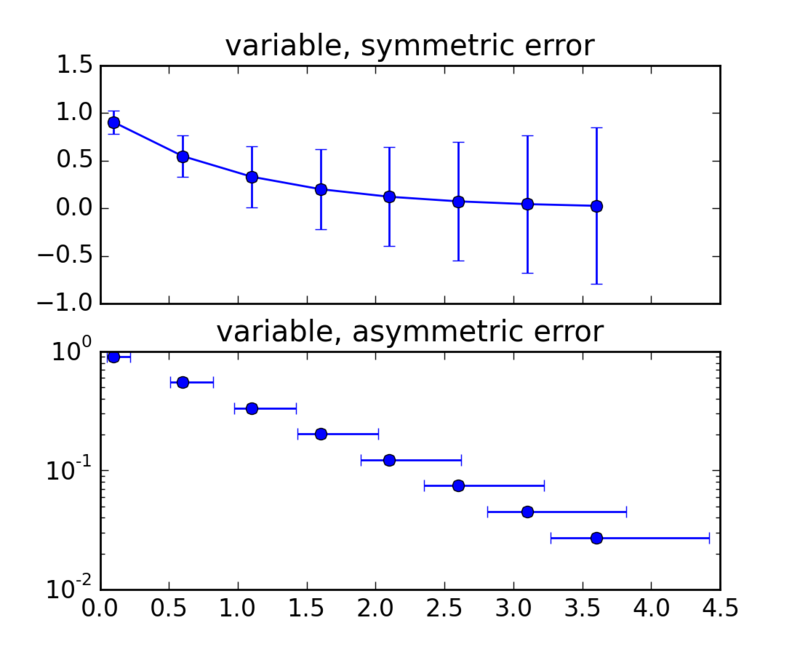 Demo of errorbar function with different ways of specifying error bars. lower and upper values are equal). 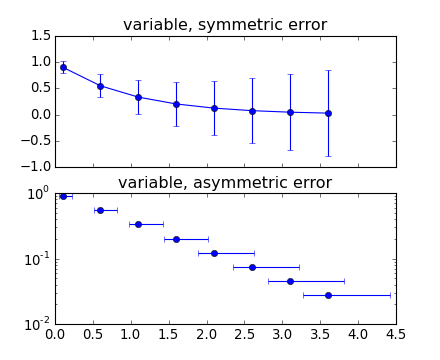 In addition, this example demonstrates how to use log scale with errorbar.